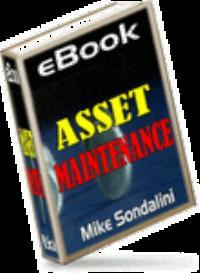 Buy and Download > Description When it comes to asset management in today's industry, it can become a little overwhelming to sift through all of the maintenance systems and reliability methods. 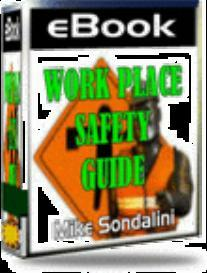 Mike's book takes you through the various maintenance methods from preventative maintenance to 5S methods and the maintenance reliability methods in-between. Mike also offers special insight that can only come from years of implementing methodologies such as RCM, 5S, PM, RCA, PdM, costing assets and more asset management techniques. Some quality paradigms are expensive. The continuous improvement of Thomas Edison. Can your spare parts be made locally? Failure analysis of gearbox, fan, bearing & shaft. Preventative Maintenance (PM) stops breakdowns. Watch keeping - added value from operators. Components of an effective maintenance system. Predictive Maintenance (PdM) - the way of the future. How accounting policies affect maintenance costs. Tools to Focus on Plant Reliability. Reliability Centered Maintenance (RCM) - What is it? Root Cause Analysis (RCA) Answers Your Problems. Work within the design limits. The 5 Whys method of root cause analysis. The 5 S method of operation.